Do Online Quizzes Fuel Narcissism or Just Harmless Fun? The average Facebook timeline is not a place for the cynical or easily frustrated and even the most patient will tire of being bombarded with bridezillas, drinkers, wannabe politicians, constant game invites, baby bores, fitness freaks or even people practicing the relatively new art humblebragging where an individual delivers hidden claims on status by presenting them as an innocuous or humble personal anecdote. In our constant quest to show the world something about who we really are, we have almost become our very own PR manager in this digital age. Whilst attempting to illustrate our uniqueness we have given birth to the ubiquitous online Facebook quiz. 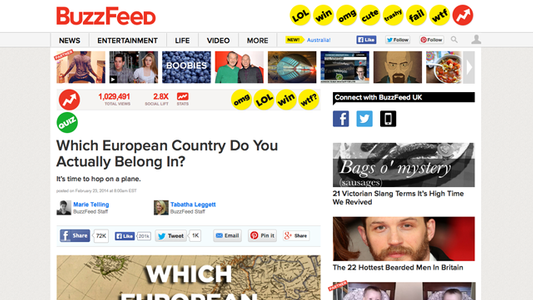 Zimbio and Buzzfeed seem to have captured the mood of the moment with their countless quizzes for all to express their individual personality. With millions of people across the global community falling over themselves to share their results, its of no surprise that the infamous “What City Should You Live In?” has amassed more than 20 million unique visitors and this kind of data is incredibly lucrative if marketed correctly. BuzzFeed have recently begun working with clients to make the quizzes, which currently include “Which David Bowie Are You?” from Spotify. The “Which Barbie doll are you?” quiz from “featured partner” Mattel has around 152,000 Facebook shares since it launched on Feb. 21, a spokesperson for the site told Mashable. These types of quizzes are not a new idea and families have been filling out very similar in magazines and newspapers for years but the difference now is you can instantly share your results to everyone you know within a quick click and after all it’s just a giggle isn’t it? Breaking it down, it’s very often, just a bunch of friends who all love the same TV show, entering a quick quiz to see which character they most resemble before sharing the results together and this cleverly taps into the oldest aspect of the social human condition which is to find a common connection with each other. The more cynical amongst us, would suggest that we have all become infected with a heavy dose of narcissism and we should actually ask ourselves what our behaviour says about ourselves? Spending your spare time searching through endless online quizzes, for the soul purpose of expressing to the world what kind of person you really are, is not a healthy pastime. Maybe the antidote to our modern narcissism can be found in the 1985 Brat Pack movie, The Breakfast Club and the poetic closing scene where the cast learn that although they all come from different social groups and have stereotypes about each other. Ultimately they realised that they all had universal problems in common and learned new things about each other that actually made them more the same than different. 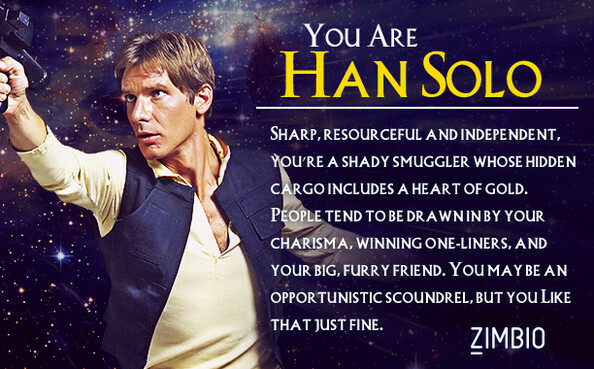 Ironically though, I have probably just unintentionally (honest) just given birth to a “Which Breakfast Club Character Are You?” online quiz and between me and you, I don’t think that’s a bad thing. Several weeks after this post, can you guess what appeared on Buzzfeed? Correct, the “Which Breakfast Club Character Are You?” arrived for all to answer and share, but as much as I would like to think that I inspired this latest quiz, I believe the true inspiration is because it was unbelievably 30 years since the day of the most infamous school detention in movie history. 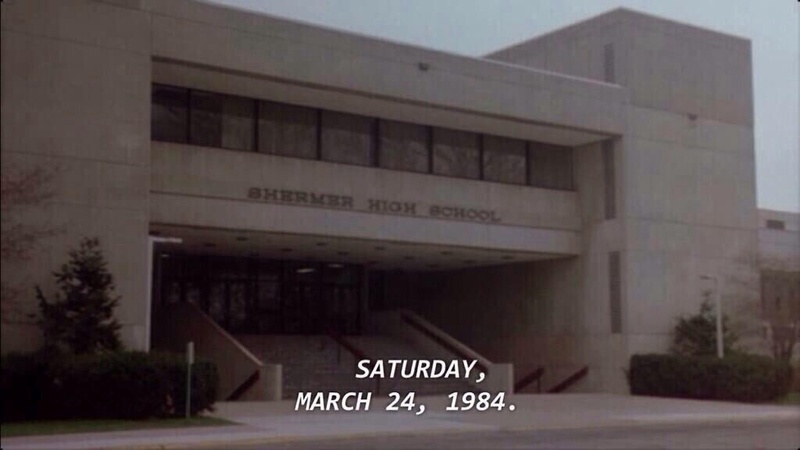 “Saturday March 24th, 1984, Shermer High School, Shermer, Illinois.” So said Anthony Michael Hall in the opening voice over and if that doesn’t make you feel old, nothing will.